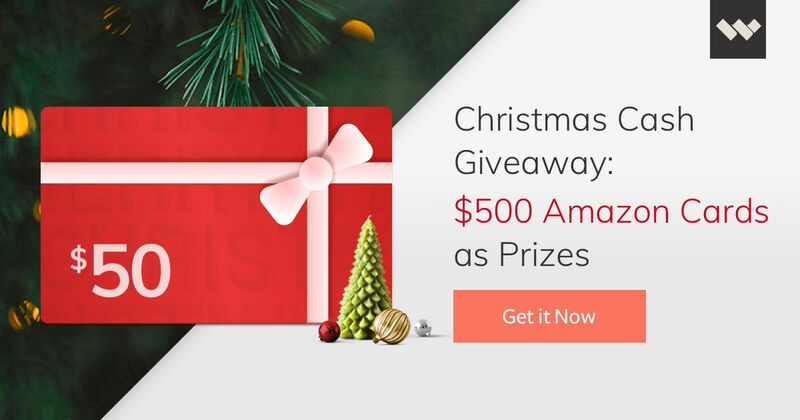 Wondershare wants to gift 10 of their fans with $50 USD Amazon gift card! To enter in their latest $500 Amazon Gift Cards Giveaway grab your free entries by following few simple steps listed down below! Filmora gives you a helping hand to get started with any new movie project by importing and editing your video, adding special effects and transitions and sharing your final production on social media, mobile device or DVD. Check out the video below to get an overall idea about Filmora. Different from Windows Version, Wondershare Filmora for Mac comes with one video editing modes to meet your video editing needs with all the fully-customizable timeline editing features to arrange scenes, edit clips, and add vivid polish to your movie. STEP 3 – Share your holiday message with #wondersharethelove on Facebook. All winners will be announced on December 31th via Facebook and Twitter. And the winners’ submitted email will receive a special email send from Wondershare.